If you are looking to create your own blog or a website and don’t know where to start from then you are at right place, we have put together a list of personal blog templates. Live is an easy and intuitive modern blogging template. Live features make it dynamic, user-engaging and vivid. It’s perfect for fast blogging, livestreams and classic blogs. It’s social media friendly. Nanopress is a premium poersonal blog site template that comes with clean design and fully responsive layout. 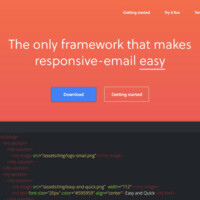 This theme is useful with many homepage styles, slider style and much more! With this theme you can easily show your stories, express yourself and photos, especially if you’re independent thinking, have an appreciation of creative and intelligent. This theme probably will be a natural choice for a hipster’s creativity. Keeping pulse on today’s life, enjoying life as it is, and taking it as simple as possible this is the lifestyle of a real hipster. Benedict is a stylish and unique template, perfect for any bloggers or creative artists out there. Featuring a neat side menu, pixel perfect responsive design based on the world’s best framework, bootstrap. Benedict has been made from the ground up to provide a simple and clean template for those looking for something fresh and different for their blog or portfolio. Ameera comes with clean, minimalist and flat style, it fitted to you who love minimal and modern design. It has some key features and elements that would not make you confuse to chose or customize, take one element which you want to show on your page then change the content. Blogster is a simple, clean, personal, modern blog designed to be a “readers” blog! Hover over any of the images and it will reveal a color photo of any given category image. Intrigue your users with a totally unique way of blogging and a magazine type interface to keep users engaged. ShiftCV is a multipurpose personal website that has big functional options! 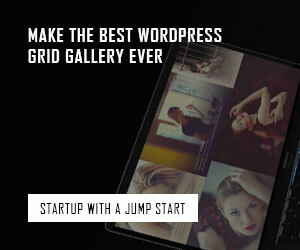 After you purchase this theme, with a pretty and convenient vCard, you become an owner of the full-fledged blog with a wide range of custom options. Dark & Light colour schemes selectable in the theme options. There is also an integrated switch Light/Dark that will let users of your website follow their own preferences. This option can be switched off by your website’s administrator. 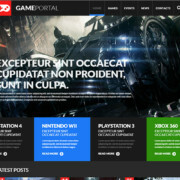 Revalia is a HTML5 Blog Theme in Elegant and clean Design. It is perfect for any personal blog. It follows the trendy design with a combination of pure elegance. It comes with 18 html files, fully responsive, 3 different layouts, built on bootstrap 3, 4 different post formats, and many more. The Mysterious Girl is a professional and comprehensive HTML template for any kind of blog. It is fully responsive design ready to look stunning on any device. The Mysterious Girl comes with a delicate and comprehensive coding structure. So you can customize it very easily even if you want to convert to a WordPress theme because both HTML structure and CSS classes are compatible with WordPress syntax. 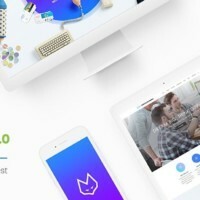 NuNu is a light, bright & unique minimalist blog template, tailored to showcase your content in a snappy easy to navigate interface that engages the user. Boasting new features such as a side tab Instagram area that allows users to interact with the latest Instagram pictures without having to scroll to the bottom. With its unique interface and a keen eye to the user experience, NuNu’s minimalistic design is guaranteed to wow and inspire. The template is designed for a personal blog, but that its features are not limited on this. Use the masonry gallery with mobile-friendly lightbox (PhotoSwipe). Use one page template with parallax backgrounds, carousels, features, skills, etc. Use a working contact form with AJAX. Libra is a personal blog HTML template, using most popular design trends as HTML5, CSS3 and jQuery. The template has three styles of homepage and category layout (standard, blog list and masonry grid style) included full width pages, also has many post type pages as standard post, post with gallery slide, post with gallery grid, post with video embed and post with SoundCloud embed. Josephine is a HTML template for lifestyle bloggers, but can be used by bloggers of all types. The code is simple, clean and well organized. Yuna is a minimal and unique HTML5 Template blog , designed to showcase your content in an effortlessly timeless style and is very important that yuna can share post type to social media like Instagram, twitter and etc with easily. Equipped the documentation is easy to read and understand. Your Journey is an extra ordinary travel blog template, it comes with so many features like grid rotator, responsive design, bootstrap 3, optimized code, simple and easy to use and well documented to do magic with this template. If you are creating your personal blog, your personal site or your vCard you found the right template! Inkas is a MUST for people who like the clean, cool and unique design for their sites. Your followers will have a relaxing reading experience, thanks to the both clean and well detailed design, the study of spaces and the typography structure. Bionick is a fully Responsive, Professional & Multipurpose Personal template with scrolling page built to showcase your top-notch portfolios. This template made for designers, photographers, illustrators, video producers, architects and other who need an easy, attractive and effective way to share their work with clients.